I will strongly recommend doing a tour with Christopher as he is very professional, friendly and very respectful and dedicated to your experience and what you are looking for. 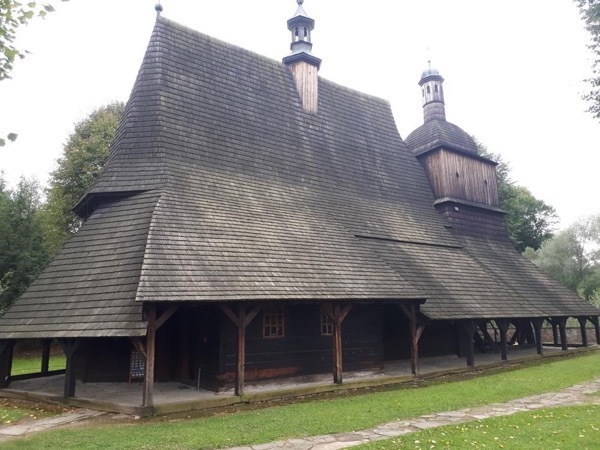 I was traveling on my own and chose the "catholic private tour" (Krakow, Wadowice etc.). As a pilgrim, it was important to me to do this tour in a peaceful atmosphere and to have enough time to pray Christopher was very accommodating and tailored the excursion accordingly. I strongly recommend this tour and this wonderful guide! Friendly and helpful, knew a lot about the area and pointed out interesting things along the way. Nothing was too much trouble, took the stress out of our tour. Responsive. On time. Kind. Knowledgeable. Organized. We felt at ease and were well taken care of by Chris. Thank you! Great tour with Chris and wonderful town to visit. This is my third tour with Krzysztof. He arranged my transport and ticket to the Auschwitz Museum with skill & great communication. Booking the same guide on two holidays in Krakow shows my confidence that the day will go smoothly, which it did. The museum guide at the camp was tireless, providing an overview of the horrific Nazi killing apparatus in the 3.5-hour tour of the two death-camp sites. There's much walking, crowded corridors, and bleakness to the day, as one would expect. Memorable & chilling. We had an outstanding city tour of Kraków. Christopher was extremely knowledgeable and a delight to be with. He entertained us throughout the day with fascinating historical stories. His knowledge of the Jewish history was particularly enlightening. Christopher was our driver for the day to the camps and to the salt mines. He spoke excellent English and explained that he would be the driver and someone else would do the guiding at the camps as well as at the salt mine. It was a long day but very informative. I would recommend him to other travelers. I have been on many, many tours in my lifetime, but I have to say that the two tours I had in Poland were about the best I have ever had. Christopher , our tour guide was extremely knowledgeable, very pleasant, and certainly knew what people like. Five stars for these tours and five stars for Christopher our guide. The driver was excellent. I think the title of 'Private Tour for Two' is misleading because all Chris was able to provide was transportation service. We were then added to a large group to tour the Salt Mine. He was informative and very helpful in accommodating our schedule. My second tour with Christopher, a picture-perfect day in the Tatras. At the start of our day, at the funicular, I realized I'd forgot my wallet at my hotel. Christopher immediately proposed a well-conceived plan to continue the tour as well as collect my wallet; it all went well in the end. An eclectic mix of stunningly beautiful scenery, visits to churches associated with local history and John Paul II, and a refreshing stop at a patisserie for tea & cream cakes (a local treat), it was very enjoyable. I was very pleased with all aspects of this booking. The Holy Week celebrations in Poland meant scheduling adjustments and some creative thinking. Christopher proved particularly adept in promptly proposing alternatives; his immediate, clear, and clever responses to my questions were greatly appreciated. The tour itself was informative, well-paced, and efficiently planned. As one would expect, Christopher was prompt, courteous, and provided first-rate service. I appreciate such a worry-free experience. Christopher was a great guide - he shared background about life in Poland, the area, history, places to see, eat, and just absorb the city, and got us tickets to an English tour at Auschwitz-Birkenau on short notice/holiday weekend. I strongly recommend booking a private driver like Christopher. The camps need time and space for thinking, and thanks to a private ride we had that. We would definitely book with Christopher again, and recommend him to others. A super-nice and knowledgeable person! Highly recommend. Honest, helpful, friendly, safe (as driver plus guide/translator), and of course warm, friendly and pleasant on our personal ancestry-focused activities. Thank you so much for a wonderful day. Christopher was a great tour guide, very knowledgeable. Would definitely recommend to others. This was a great alternative to the usual coach tours. Our driver was Christopher and he was really knowledgable, helpful, interesting and friendly. A much more personal service which I am happy to highly recommend.The guided tour at Auschwitz was also exceptional. Chris kindly dropped us at a wonderful area in Krakow for a much needed drink. First class !! Christopher is a excellent tour guide, a gentlemen, a real pleasure to be with. We enjoyed the tour immensely and appreciate the flexibility with start time. First I really appreciated Christopher's willingness to fit me into his schedule. I enjoyed the day with him very much. He was able to connect me with a fun and knowledgeable priest to give me a VIP tour. Afterwards Christopher was open to any photography and further exploring I wanted to do. I recommend him highly. Excellent guide, very informative, and always giving a very full background of the history. Chris is very knowledgeable and is very versed on Polish Culture and History. I highly recommend Chris. He is also very accommodating and spends time answering your questions. I appreciated his sense of humor. Christoper was very pleasant and followed the program as described. This tour was basically just a drive to the Salt Mines and making sure that we got our tickets. He was very helpful in explaining sights along the way. He was most accommodating and dropped us off after the tour in the area that we wanted to go to. Just the best. Very knowledgeable on any topic. Went to our pace, it was a great great day. Tomorrow he is joining us again and we are looking forward. Krzysztof (or Chris) was our guide over two days to Auschwitz and Wieliczka salt mine. A thoroughly knowledgeable and pleasant gentlemen who provided very informative facts on these two areas. Auschwitz of course was emotionally unsettling, but something we had to experience, and the salt mine an eye opener as to the engineering skills of the early Polish miners in extracting the salt "gold". Chris although unable to guide in these locations provided more info driving us there. Chris is an excellent guide. He is knowledgeable, and very personable. If my grandson and I were to return to Krakow, we would request Chris as our guide. Wonderful tour guide, knowledgeable, professional, and very personable. He was fun to be with and we enjoyed our day! Chris was great!! Very personable, great sense of humor, great driver and quite knowledgeable. Christopher was excellent in looking after me and he arrived in my hotel on time! I'd like to say, thanks him so much! Krzysztof was an excellent guide and spoke perfect English. Not only that but he was also very good company and extremely knowledgable, of course! Guide was always on time and provided us with necessary information regarding the tour and other places. Provided explanation to every single question we asked. Would recommend to other friends. Great English speaking guide who gave our group a fascinating and historical tour." A truly worthwhile and exceptional few hours! My clients - Daniel Goldberg & Donna Small - loved their tour guide and time in Krakow. Thank you! Christopher is a knowledgeable guide with a good sense of humor. His tour went at an excellent pace, which enabled us to ask questions along the way, and he gave many great suggestions about places to visit, local food to try, and retaurants that are off the beaten track. All in all, a most enjoyable morning. The price for this tour is for transportation to Auschwitz and back. The driver is also a registered guide, and will provide very good information along the way, and back. Once at Auschwitz you will need to pay a separate entrance fee for entry and guide at the camp. Once done Christopher will pick you up at Birkenau. Christopher is a very friendly guide, very knowledgeable, and he speaks excellent English. I would recommend him. Timely and great informative tour with a wealth of information. Great tour, beautiful. I would have liked it more if he guide asked us more about what we wanted to do first instead of assuming, but I still enjoyed it. TOURSBYLOCALS RESPONSE: Your review was brought up to the guide and the guide manager's attention who are working together in order to improve the quality of the tour. Great tour and guide, although a little too much packed into one day. I was exhausted by the end of it, but great. I would suggest just Auschwitz and skip the Salt Mines, I did not enjoy the Salt Mines at all. Tour guide Christopher was wonderful. TOURSBYLOCALS RESPONSE: We are happy to hear that you had a great tour with Christopher. Your comments were passed along to him and his guide manager. We were visiting Poland for the first time from Canada and would highly recommend Christopher B. as a great ambassador for both Krakov and Tours By Locals. He was warm, friendly, spoke excellent English and was very responsible and dependable. We had 3 days - walking tour of Krakow & salt mines, Zakopane Mt., Dunejec Gorge rafting. Would not recommend the Zakopane visit unless you have young children or love tacky souvenirs. Gorge rafting was pleasant and scenic but tour only in Polish. Pity! Krzysztof was a great guide - very knowledgeable and willing to make recommendations on local restaurants, places to see etc. He was on time and well prepared. A very enjoyable tour. Christopher is an excellent guide with a bubbling enthusiastic personality who transported us in a van to the Saltmine tour. Once at the Saltmine the local tour guides take over. I enjoyed the Saltmine excursion but my wife was not as enthusiastic with the very long steps down into the mine or the close quarters in the corridors. Chris is a great guide but his talents are better displayed on one of his other guide offerings. Christopher is an excellent guide with clear English and a passion for explaining the history of Krakow and Poland. He was able to restructure the tour to meet our particular requests in an effortless fashion. I would recommend him highly. Fun! Interesting! Informative! Christopher made our trip to Krakow unforgettable. Once we selected the tours from the "packaged" list on the site we corresponded with Christopher regarding our specific interests and some physical limitations that we had. Christopher tailored each tour (4 in all) to our specifications and we couldn't have been happier. He truly made history come alive with his descriptions, stories, legends and insight into the culture of Poland. Thank you Christopher! Christopher was a wonderful guide. He took the time to thoroughly explain everything about the tour location as well as providing information about the country. We had so much flexibility in what particular area to visit within the tour location. We talked and laughed all day long and wished we could have spent more time with him. I highly recommend his services.